Mission: Heart of West Michigan United Way United Way unites community resources to invest in solutions that reduce poverty in West Michigan. 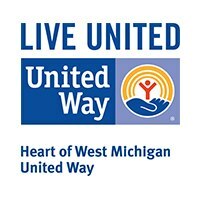 As an integral part of Kent County since 1917, United Way convenes and collaborates with other organizations throughout West Michigan to create a thriving community for all who live and work here. To learn more, get help, or find where you’re needed, visit hwmuw.org.